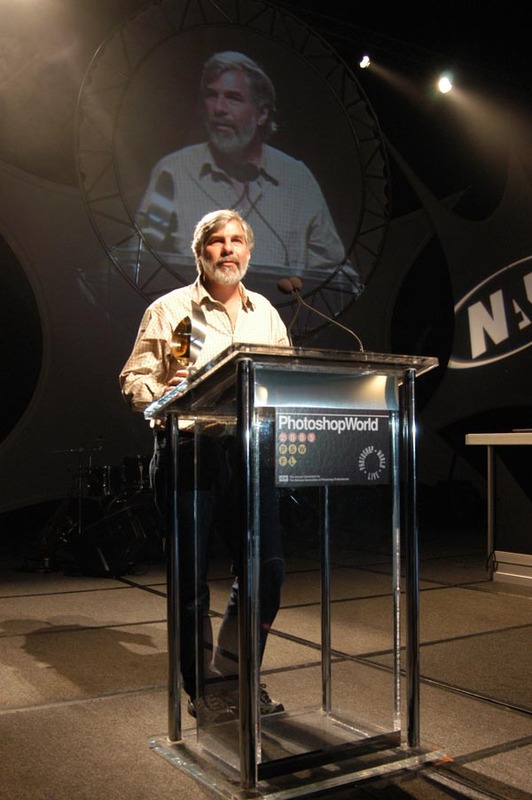 Digital imaging veteran Stephen Johnson has been named as a 2003 inductee into the Photoshop Hall of Fame, recognized for his achievements in Art. 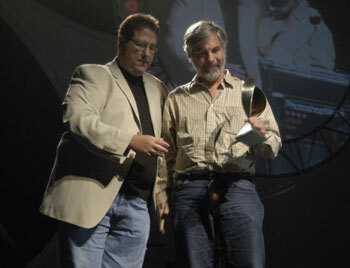 The induction ceremony took place as part of the Photoshop World Conference and Expo, on September 30, 2003 at the Miami Beach Convention Center. In his thank you remarks before the 3000 Photoshop users in the audience, Stephen staked out his long held uncommon ground in this digital age, stating that for him "digital photography is not about manipulation, but about seeing the world clearer, with greater veracity and faithfulness to the beauty of the planet earth than we've ever known in the history of photography." 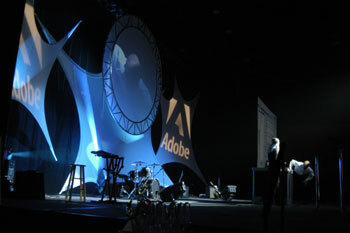 The Photoshop Hall of Fame, formed by the National Association of Photoshop Professionals, seeks to honor and recognize those individuals whose contributions to the business, education, development, and art of Adobe Photoshop have enduring value. Digital photography pioneer Stephen Johnson's long involvement in the evolution of digital imaging is unparalleled in the photography world. He received international acclaim for his ground-breaking large-format photography in America's National Parks, With a New Eye. 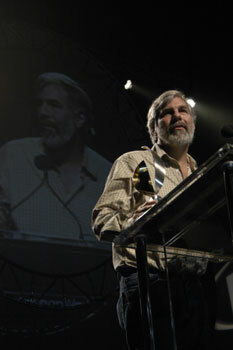 Folio Magazine called his 1997 photo essay in Life, the first digitally-produced story to appear in a national magazine, one of the 15 Critical Events in Publishing of the 20th. Century. He was also deeply involved with the creation of the duotone feature in Adobe Photoshop as well as writing the sample curves that still ship with the program. His influence on Photoshop development has concentrated on enabling photographers to achieve the highest quality imaging possible in the digital world, such as program-wide support of 16 bit files, much larger file support, deeper support for color management and wide gamut color. Stephen Johnson is a photographer, designer and teacher who has been teaching and working in photography since 1973. His books have included At Mono Lake, Making a Digital Book, and the critically acclaimed The Great Central Valley: California's Heartland. Johnson's work in digital photography dates back to the late 1980s and has included software and product development for clients such as Apple, Adobe, Eastman Kodak, Foveon, Leaf, Ricoh and Radius. Photographic clients have included the Ansel Adams Publishing Trust, the Fine Arts Museums of San Francisco, and the Friends of Photography. Johnson's photographs have been widely published and collected internationally. He has lectured extensively on digital imaging in the United States and Europe. Johnson's Studio and Gallery are located in Pacifica, California. His workshops, fine art prints and other products can be found on his website at: www.sjphoto.com.